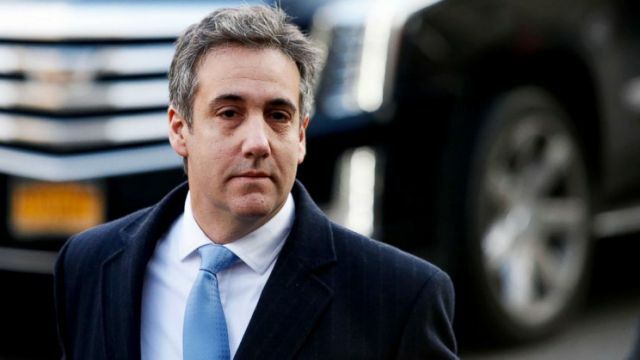 A federal judge on Wednesday granted Michael Cohen’s request to delay the start of his prison sentence, providing President Donald Trump’s former longtime fixer and personal attorney two more months of freedom before serving his three-year term. In a letter to the judge, attorneys for Cohen said federal prosecutors in New Yorkdid not object to the extension. Cohen pleaded guilty in August to six felonies associated with his personal business dealings, including tax evasion and making false statements to a bank, and two felony campaign finance violations in connection with his role in arranging non-disclosure agreements during Trump’s campaign with two women who had claimed past affairs with the president — affairs Trump has denied. Cohen’s legal team also cited their client’s prospective congressional testimony as rationale for a temporary delay in his sentencing. “Mr. Cohen also anticipates being called to testify before three (3) Congressional committees at the end of the month,” Cohen’s attorneys wrote in a letter to Judge Pauley. Since the beginning of the year, Cohen has delayed planned appearances before the House Intelligence Committee, House Oversight and Government Reform Committee, and the Senate Intelligence Committee. His spokesman, Lanny Davis, has pledged that Cohen will appear before those panels before reporting to prison. In an appearance on ABC News’ podcast, “The Investigation,” earlier this week, Davis said that while Cohen cannot talk about subjects vital to the special counsel investigation, he can describe his life at Trump’s side, where he spent years as a lawyer and fixer.